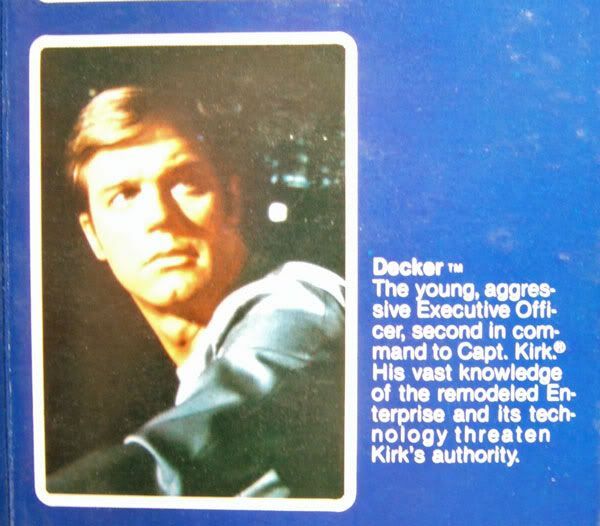 Decker was released as part of Mego's boxed 12.5" line. Look at that deatiling! 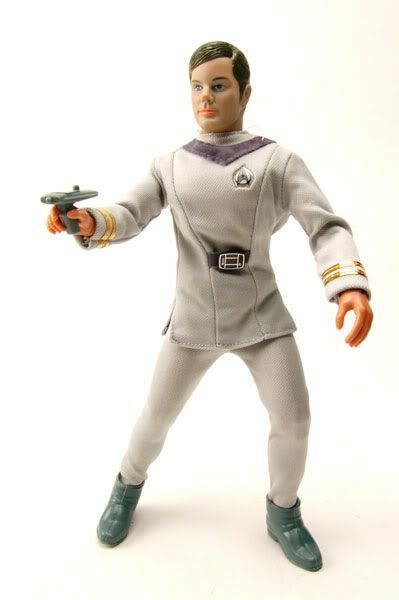 Mego did one heckuva job replicating the TMP 'pajama' uniform. They actually stitched in all the stitching lines! And his little belt buckle gizmo is actually a seperate piece, not some cheesy printed on effect (as it probably would be on a mass market 12" nowadays). I'm really not sure how they were able to produce such an incredible costume for the price back then, but why the heck can't it be done now! The body is very well articulated and can strike multiple poses without difficulty. 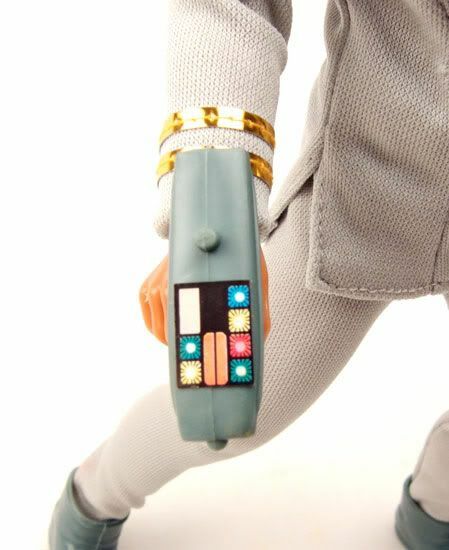 The 12.5" body feels like an upscaled version of the standard 8" Mego body, so if you're familiar with it you've got more of the same here, just bigger. Again, superior in articulation to most mass market 12" stuff out now. 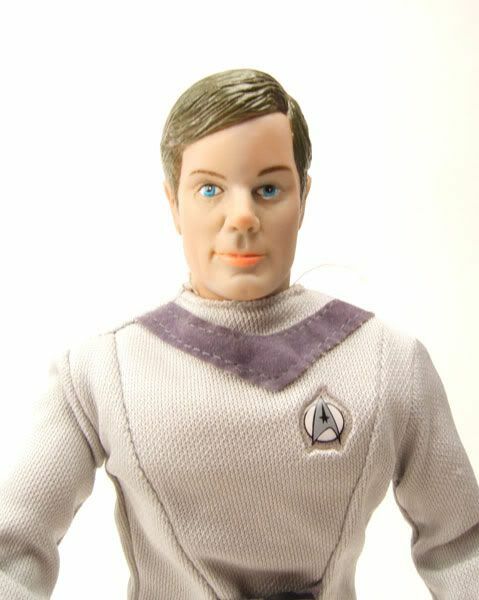 The head sculpt is clean and recognizable as Stephen Collins. I'm not sure, but I'd say getting these head sculpts to turn out nice is pretty tough due to them being made out of roto-cast material. 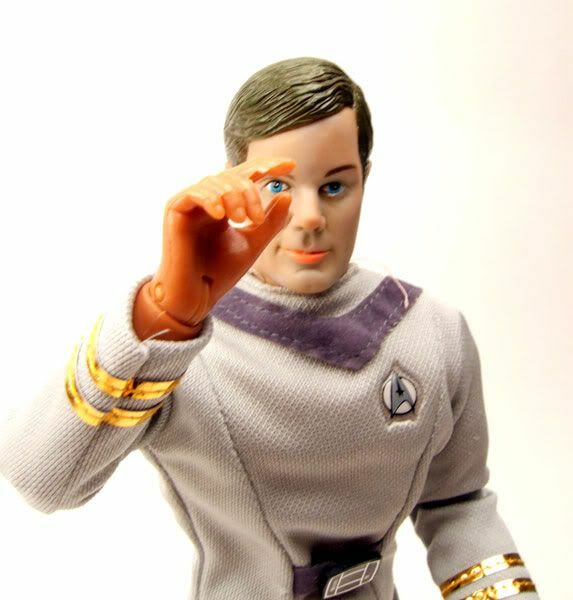 A small note on the TMP 12.5" line: almost every figure you find nowadays suffers from 'zombie head'. 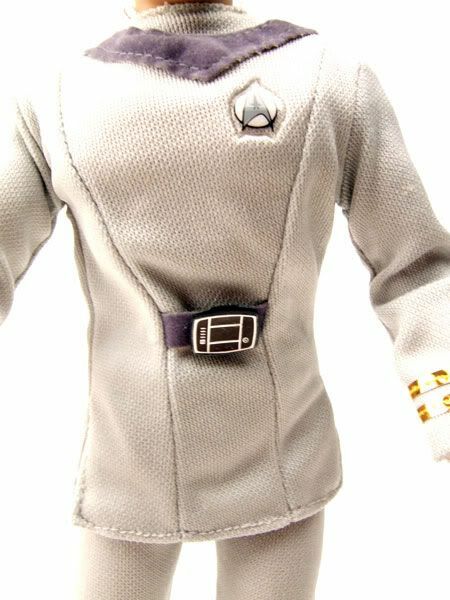 Something about the material used on these and many other mego figures grays over time. I'm not going to hold that against the figure though. 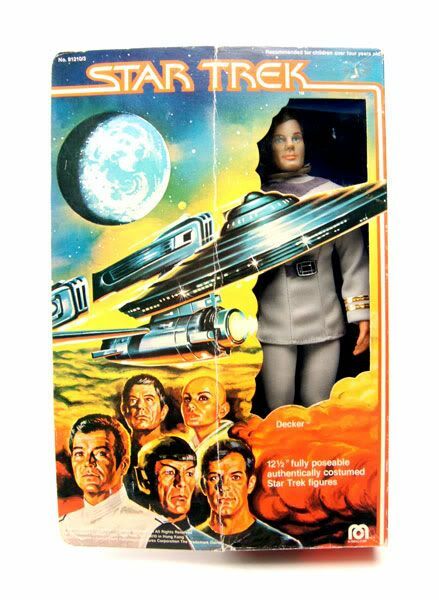 I'm sure Mego wasn't thinking about how these figures would look 30 years down the line, they were busy making great figures at a solid price point. If your's bother you though, there's a method to fix them. I've never tried it myself, but here's a link to see how it's done- Getting the gray out!. 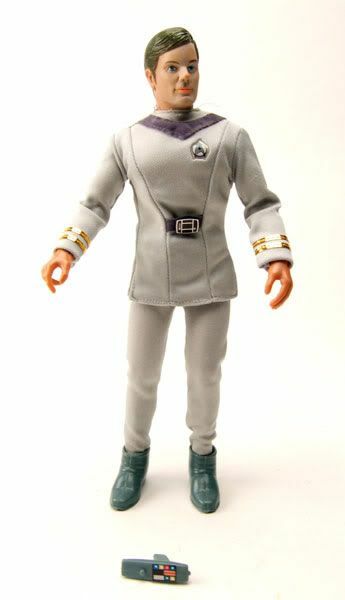 Accessories- Not counting the uniform, Decker comes with a TMP style phaser. 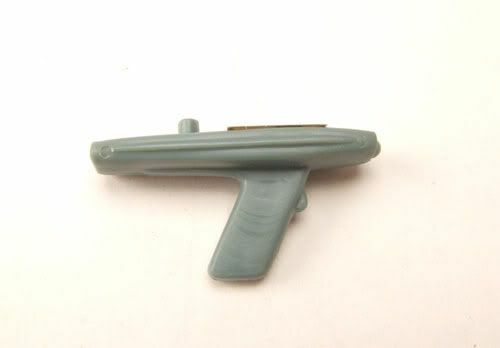 The sculpt is nice, and Mego even went to the trouble of making a little decal showcasing the details on the phaser! And for you 'Kids In The Hall' fans... "I'm crushing your head! Crush! Crush!" He does look like the "Crushing Your Head" character from KITH!